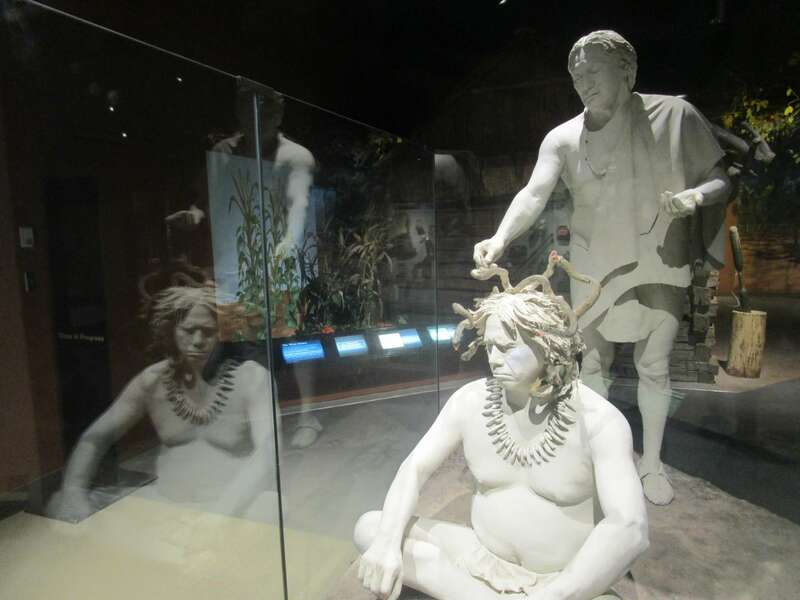 There is always something happening at the Rochester Museum & Science Center. 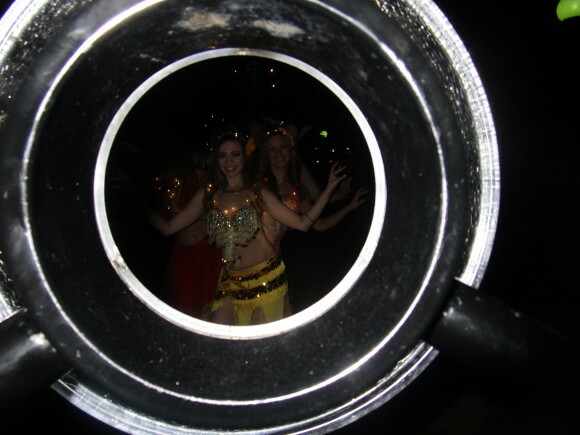 Calvin Uzelmeier explaining how the Whispering Dishes work or Kathryn Murano discussing Haudenosaunee Days or reliving the moon landing with Steve Fentress or the Fire and Spice Bellydancers and too much fun at RMSC After Dark. 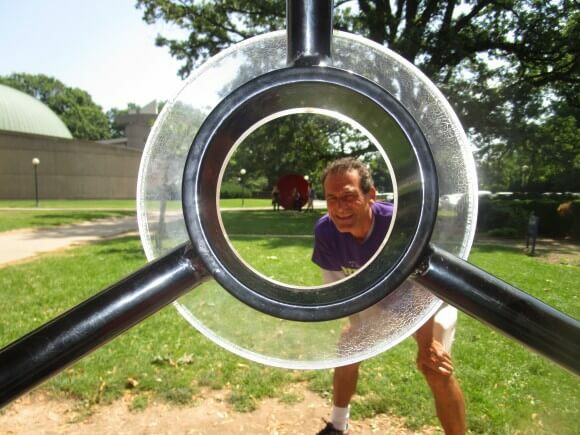 from How do the Whispering Dishes at the RMSC work? 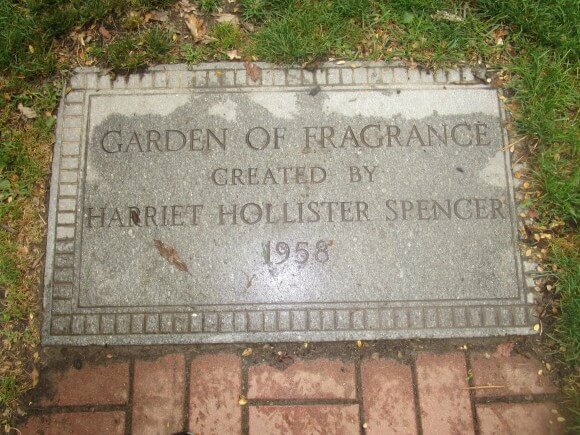 Last month, I chanced across a group of people tending the Garden of Fragrance created by Harriet Hollister Spencer. It was the Rochester Herb Society. 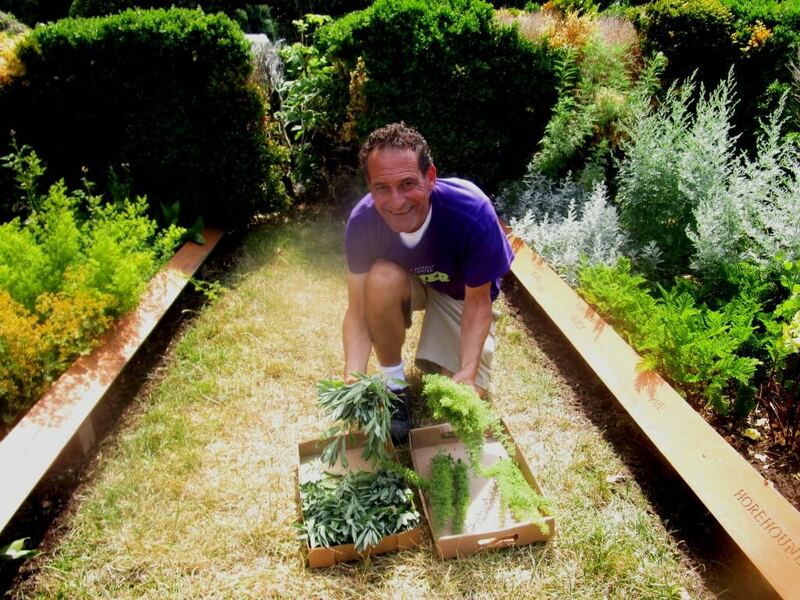 For many of us, the garden is a cherished spot. So I was appreciative and delighted to see this spirited band of herbalists pruning, watering and generally sprucing up. Society member Jean Bolster described what I was seeing. 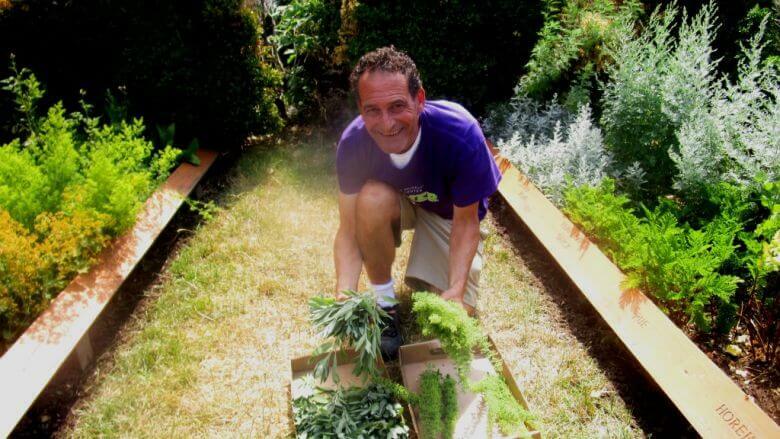 Jean says the group’s labor of love is “‘good therapy’ because working in the soil has been proven to have a calming effect on humans and is good exercise.” And good for the garden. Starting in April and ending this year on October 25th, the Society meets in the garden every other Tuesday in the morning. The Rochester Herb Society was formed in 1971 with the purpose of studying and making known all available information on herbs and to promote interest in herbs. Membership is open to the public with meetings held monthly at the Rochester Civic Garden Center. 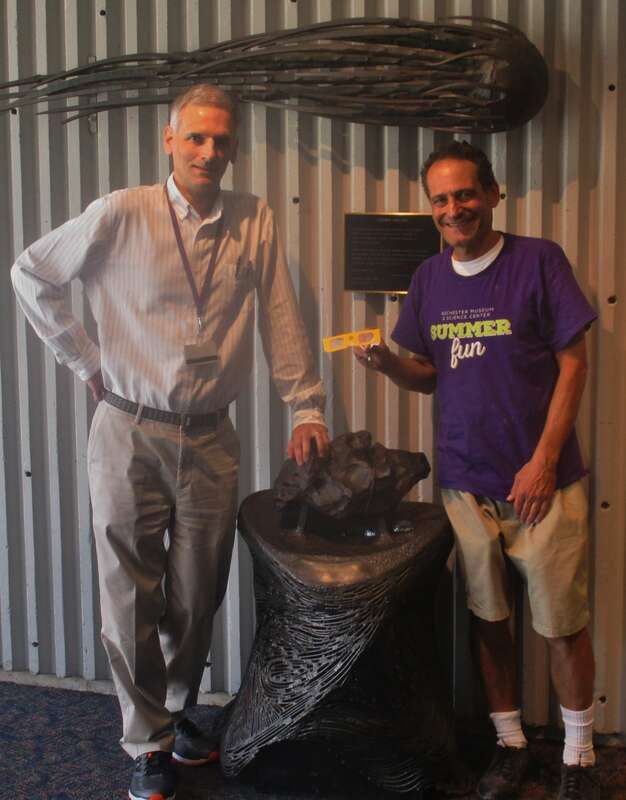 The Herb Society strives to serve the Rochester community and each year we donate funds in support of the Rochester Civic Garden Center scholarship program, donate a herbal wreath to the George Eastman House annual wreath display and silent auction, and provide gifts to a Neuro-Geriatric Unit at Strong Memorial Hospital. Our annual participation in the Agricultural Fair at the Genesee Country Village & Museum directly benefits the museum and showcases the many uses of herbs. 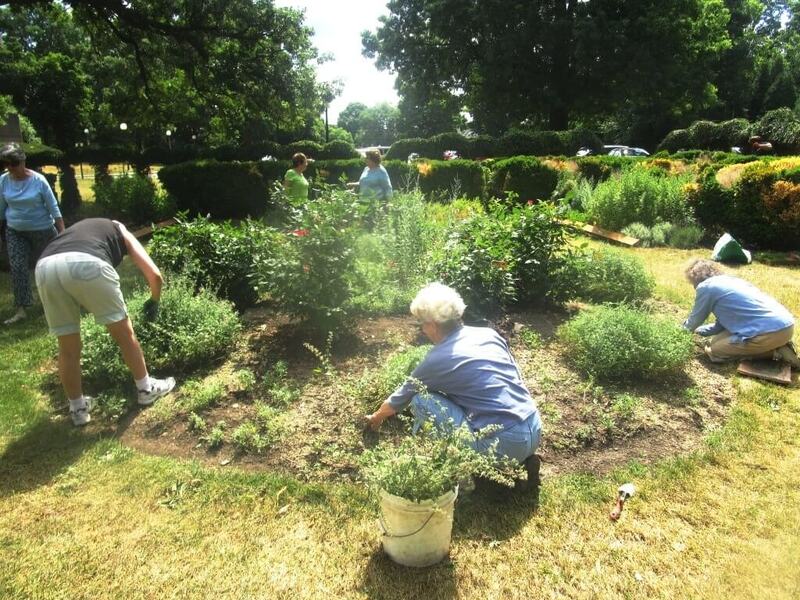 Currently, the Herb Society is restoring and maintaining the historic Garden of Fragrance located behind the Rochester Museum and Science Center where the public has the opportunity to enjoy and learn about herbs. The herbs David is holding in the picture (Ambrosia & Sage) were just harvested for drying and will be used to make dried herbal wreaths. 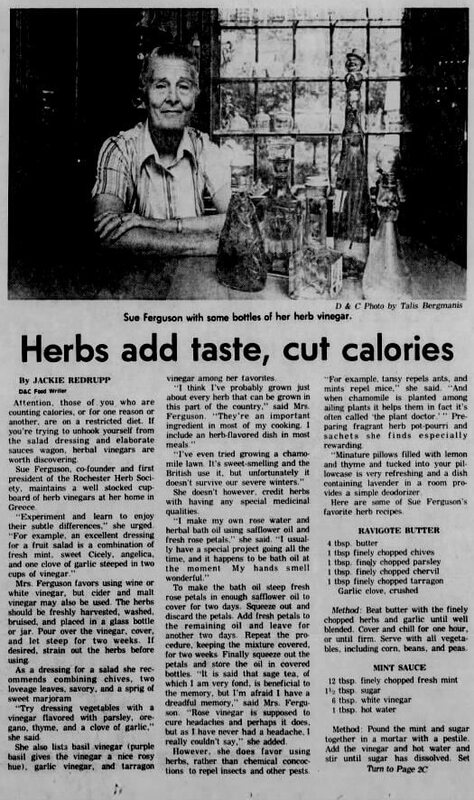 I also learned from Jean that Sue Ferguson (in the 1979 D & C article) Sue Marshall were the founding members of the Rochester Herb Society. 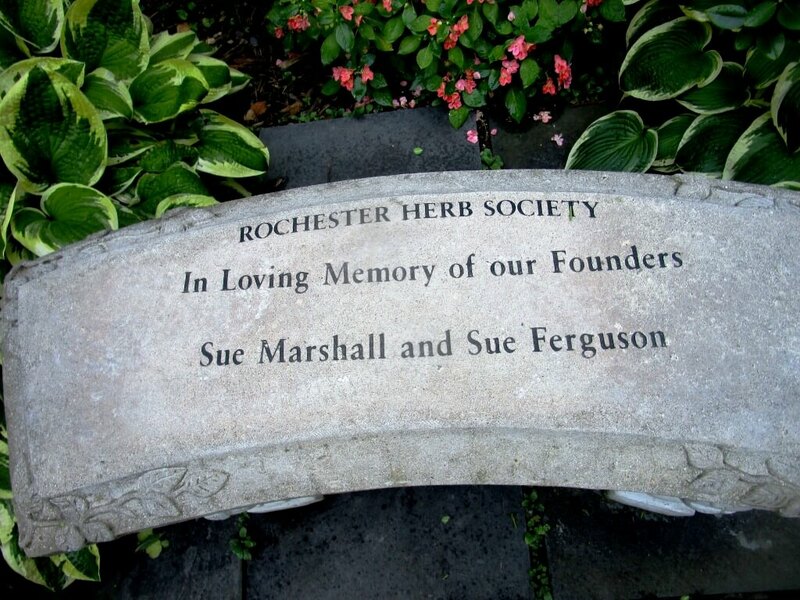 A garden bench in front of the Rochester Civic Garden Center is dedicated to the two of them. A lovely and knowledgeable lady, Sue Ferguson remained an active member until her death when she was in her 90’s. 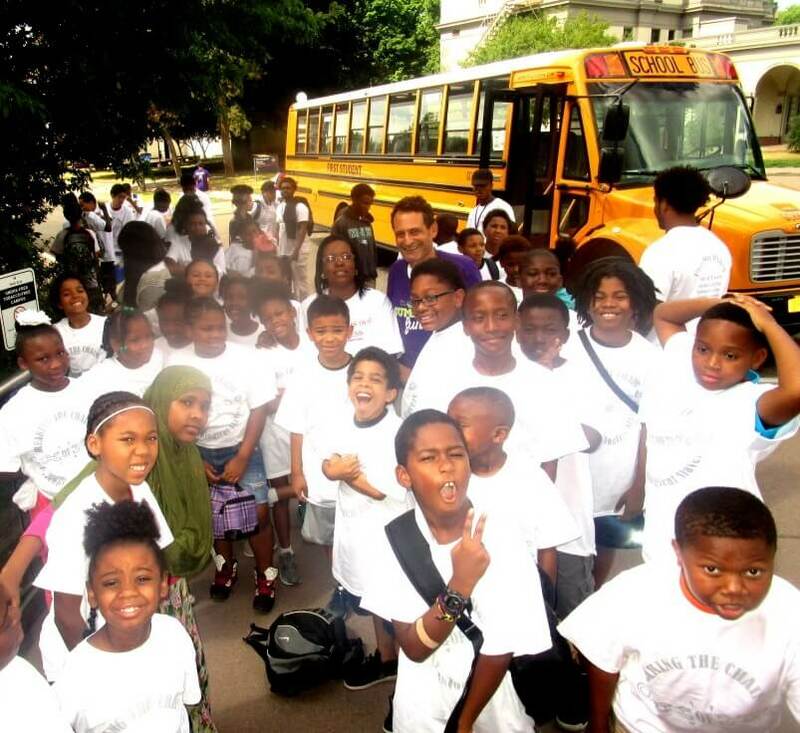 Also that day visiting the RMSC was a group of young people from the Freedom School Summer Program. Led by Brittany Calvin, kids were enjoying the museum, garden, Whispering Dishes while (as seen on their t-shirts) Taking the Challenge. 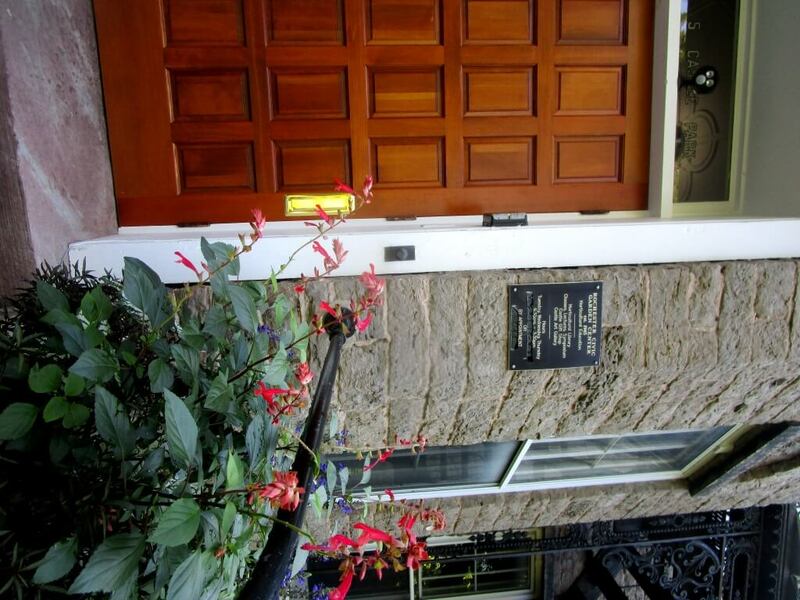 Note: The Rochester Herb Society does not yet have a facebook page. (OMG!) Hence our contribution to its digital presence.